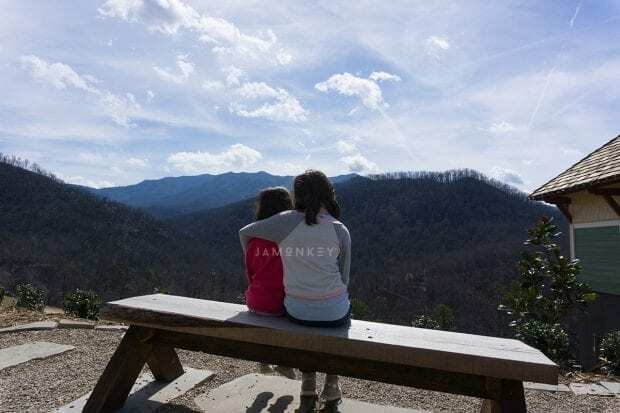 Gatlinburg is an amazing family destination with so much to see and do but one of the highlights of visiting the Great Smoky Mountain area is the amazing mountains. For that reason, lifts have become a popular attraction in the area. Anakeesta is more than just a lift to the top of a mountain though. There is so much to see and do that you'll love spending the day at this attraction, if not for the view alone. We recently visited Gatlinburg for a blogging event and were hosted at Anakeesta. This new attraction is by far my favorite thing to do in Gatlinburg Tennessee. 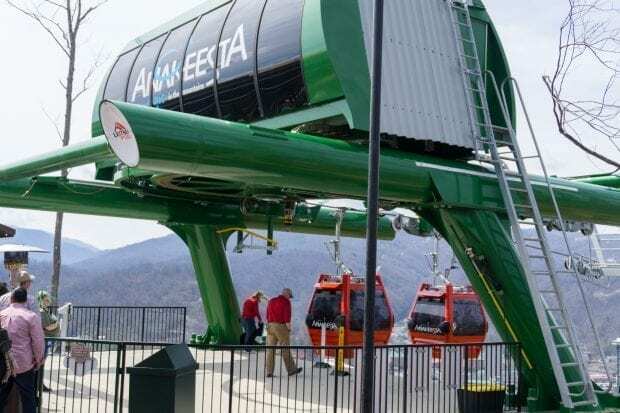 You start your adventure by climbing aboard the chairlift or gondolas to get to the top of the mountain. I love that Anakeesta offers the gondolas which they call Chondola and sit 6 people, for people that are scared of heights like I am. My youngest was terrified at first but once she saw that we were perfecting closed in she was ready to go. The climb takes about 15 minutes. They slow the lift down so that the gondolas can unload at a slower pace. This makes it great for anyone with smaller children with strollers, disabled, and people that are just freaking out like me. Once you reach the top of Anakeesta Mountain you step out into the Magical Firefly Village. 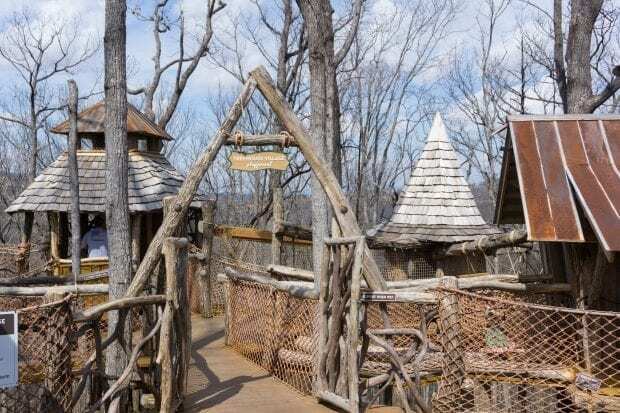 The buildings are all treehouse-themed and shaped like fairy houses giving it a whimsical look and feel to them. I love this style and the folks at Anakeesta said all of the designs were heavily influenced by treehouses like the ones you would see on The Treehouse Masters or The Treehouse Guys. There are a small bridge and a firepit that you can sit around and enjoy the mountain views. There are a couple of shops to explore and a yummy pie and ice cream shop that you can stop into. There is a new restaurant and bar they are currently building in the village that will give guests a breathtaking view with their dinner. I love that there are benches, chairs, and tables all over the place so that you can sit and enjoy the view. When I say it is stunning, it's a complete understatement. Anakeesta gives you 360 degrees of mountain views and I was in complete awe the entire time I was up there. After enjoying the view for a bit we went over to the Anakeesta Smokehouse BBQ which is a food truck in a big open area with picnic tables to enjoy your food at. The food was so delicious and I was completely shocked that it came out of a food truck. After your bellies are full and satisfied head over to the Treehouse Playground. Curvy roofs, a giant nest are some of the features that you'll see. My kids played a game of hide and seek in the area with the other kids and had a blast. There is only one entrance so parents can sit and relax while the kids play and not worry about them escaping in another area of the playground. You can also go gem mining next to the playground. 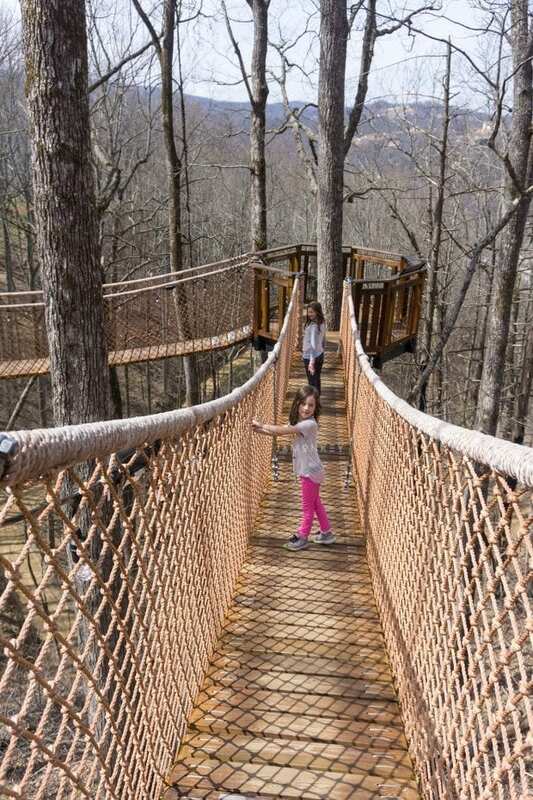 After that head over to the treetop canopy walk to stroll 40’ – 60’ above the forest floor along a series of 16 connected sky bridges suspended in the trees. Don't forget to look up and see the dueling zipline that crosses overhead. There are lots of great things coming to Anakeesta as well like the Anakeesta Rail Runner and the outdoor amphitheater. The Anakeesta Rail Runner takes you through tunnels, across bridges and can hit speeds of 25 mph. The ride begins with 1,600 feet of downhill twists and turns that include a 400 ft. vertical drop and ends with a scenic uphill ride back to the top of Anakeesta Mountain! Nestled into the summit of Anakeesta Mountain, a natural grassy slope overlooking the beautiful views of Mt. LeConte and the Smoky Mountains will soon be home to an outdoor amphitheater that will host live music and other events. If we lived nearby I would be at Anakeesta all the time because we enjoyed it so much. 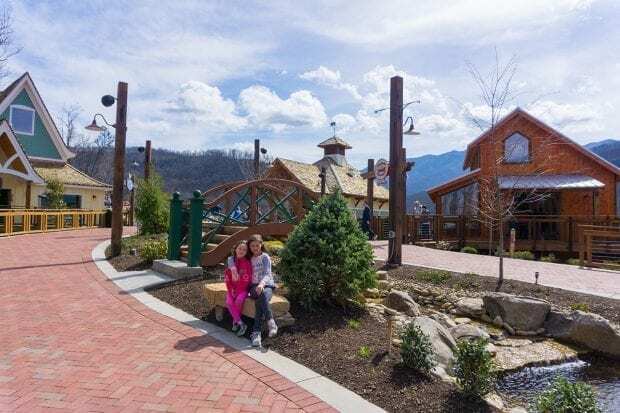 It's a wonderful place to spend the day with your family while you're visiting Gatlinburg. Even if you're just going up for some ice cream and the view, it will be well worth it. WOW. This is such a beauty to behold. It’s quite an adventurous experience, I’m sure your kids would love it a great deal. I have phobia for heights too but I will pass for this. The rail runner sounds like it will be fun! About as fast as Space Mountain! 🙂 🙂 GORGEOUS mountain views!